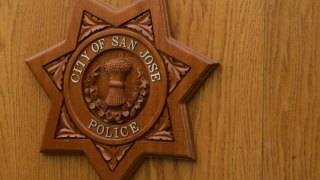 A man, who was found dead Friday in a trash can, was killed and deemed a homicide victim by San Jose police. Officers responded to the 500 block of Bonita Avenue around 6:50 p.m. on reports of a possible dead body, according to a police department news release. The man was pronounced dead at the scene, police said, but did not provide information about the circumstances surrounding the homicide. The Santa Clara County Coroner's Office is currently investigating the cause of death and also working on identifying the victim. It is likely the man will be identified Monday. People with information are asked to contact Detective Brian McDonald or Detective Wayne Smith of the San Jose Police Department's Homicide Unit at (408) 277-5283. Those who wish to remain anonymous can call the Crime Stoppers Tip Line at (408) 947-7867. Anyone who provides information that leads to the arrest of a suspect may be eligible for a cash reward.